Put simply, biomechanics is the study of the stresses and strains affecting your body; the study of human movement. When human tissue (for example a muscle or tendon) is subject to a loading force (known as stress, measured in Newtons, and indicated on the y-axis of the deformation graph shown below) from standing, walking or running, they deform, either stretching or compressing (known as strain). A graphical representation of the relationship between stress and strain is called The Deformation Curve. For the cells that create your tissue to be replaced effectively, they must be placed under the correct stress (known as the elastic region) and the greater the frequency of the correct stress, the more efficient the cell’s metabolic processes, and the healthier the cell. Your tissue has some active cells, and some that are at rest. These resting cells, once repaired, then become active cells. In this way the tissues of a structure, for example, the Achilles tendon, are continually slightly damaged, causing the stimulation of new cells which are better able to cope with the stresses that are placed on them. Incidentally, this is also how muscle and other soft tissue grows as we develop and as you build muscle. Therefore, normal activities such as standing, walking, running for a bus, or even performing sports, should take place within the elastic region. This means that when you go for a walk, your tissues are placed through stress to deform them, and when not being used they return to their original size and shape. This process is essential for your feet, legs, and back to function correctly, to stay pain-free, and to recover from injury. How Do Muscle, Bones, Ligaments, Tendons, etc. Work? Every step of every day your body is dealing with gravity pulling it down, and the ground pushing it up! Your feet are the key interaction between these forces and are extremely important in how you move and cope with stresses and strains. Think of your body’s support structure, your skeleton, as bones suspended in soft tissue. Your bones do not touch at the joints but are suspended, supported and moved by a soft tissue matrix made up of your muscles, tendons, ligaments, and fascia. This matrix is under constant tension and compression as it works to hold you stable, whatever position you are in. As you stand, walk or run, the forces of gravity and momentum are transmitted through your bones from one junction (joint) to the next. Each joint influences the action of the next and the stability of its soft tissue matrix. At each joint the energy is changed, redirected or absorbed for you to move efficiently and pain-free. If a joint functions out-of-time with the rest, it will twist the bones out of synchronisation, upsetting the soft tissue tension compression balance in your other joints. This leads to soft tissue damage, and can lead to bone disease such as osteoarthritis. Why Do My Flat Feet, High Arches, Knock Knees, Posture, or Even Bunions Cause My Pain? If you have poor biomechanics, for example, flat feet or knock knees, your movements place uneven stress on different tissues. If, for example, you have anterior knee pain (pain in the front or inside of your knee), you have a knee position that places too much stress on the front of your knee, and the tissues there will be put through stresses that are too great for them to deal with, especially during activities like walking up stairs or playing football. If your body’s tissues are placed through repetitive or high stresses, they operate in the microfailure zone, resulting in the wrong cells being produced, and a breakdown of existing cells. 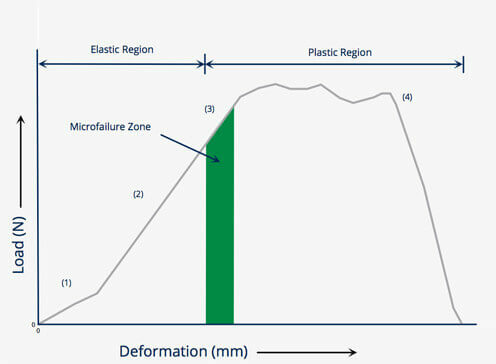 This is when you experience a ‘niggling pain’ that may then lead to permanent deformation of the tissue, where it becomes ‘plastic’ and does not return to its original shape (see plastic region on the deformation graph). In this plastic region cell metabolism is inhibited, meaning that resting cells are no longer repaired. Again, using our example of the Achilles tendon, you would experience niggling pain as the cells became over stressed and damaged (Achilles Tendinopathy), and then a nodule (consisting of non-active cells) would form, which is less flexible (more plastic) than the rest of your Achilles tendon. How Does My Body Recover from These Injuries? ‘Rest and recuperation’ is not always easy as you need to keep using your feet and legs. The old adage of ‘rest and recuperation’ being necessary for your body’s tissue to recover is always a good starting point. However, this is not always easy as you need to keep using your feet and legs all day to function. Your body will go through inflammation, which is necessary to heal, and this will last several days. Treatments such as ice therapy will help control the inflammation (swelling) and stop it becoming excessive. Fibres must be placed under the correct stresses so the adaptive mechanism of recovering damaged cells can take place. Once the initial inflammation period is controlled, your body will start laying down new tissue. The fibres in the new tissue must be aligned correctly to ensure correct function and to prevent adhesions and scarring of the tissue. Therefore they must be placed under the correct stresses so the adaptive mechanism of recovering damaged cells can take place. 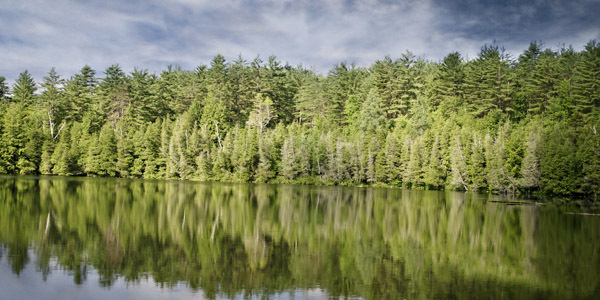 How Can I Help My Body Heal? Your body must operate within its normal (or elastic) ‘stress to strain’ ratio. To help your repairing tissues lay down new fibres correctly, your body must go through appropriate exercises, stretching and strengthening, and may be helped by techniques such as mobilisation and manipulation of your joints. Orthotics are often essential for the recovery of your injury: they stop the damaging movement and allow your soft tissue to operate in the correct manner while laying down repairing fibres. They will also aid in the prevention of future damage by stopping your tissue from going into the plastic phase, so that it can operate normally. Again, using the example of the Achilles tendon, pronation (flat feet) often results in abnormal stresses through the Achilles as it is twisted by the rolling out of your heel bone. In an example such as this, we would use an orthotic to reduce the pronation, and realign the achilles tendon, therefore placing the tissue back into the elastic region and allowing normal healing processes to occur. Without this support, the cells would be laid down in the wrong direction and disproportionately, leading to long term weakness in your Achilles tendon, and continual niggling Achilles Tendinopathy. Am I At Greater Risk If I Play Sport Or Run? To get used to your sporting activity, you will have to put your body under stress. As long as these stresses are in the elastic region, your body will build new and stronger cells in the tissues used for your activity. If you over-train, overload, or otherwise stress your body too quickly, particularly after a period of injury, your cells will go into the micro-failure zone as they are not yet ready for the strain. Another adage of ‘use it or lose it’ seems applicable here, as if you stop your activity, even for a short time, you will start to lose resilience within your tissues. Has My Age Got Anything to Do with My Pain? An unfortunate consequence of ageing is that the repair mechanism of your tissues slows down, meaning it is easier for your cells to enter the micro-failure zone and plastic region. However, with appropriate building up exercises and correct footwear and orthoses, the load can be reduced, keeping your tissues in the elastic phase so the cells can rest as they repair. During an assessment at BxClinic, we observe and calculate these forces, to analyse, predict, and alleviate the resulting symptoms. Keeping you moving pain-free is fundamental to your overall health. Pain in the feet, legs, knees, hip and back affect almost all of us at some point of our lives, and this pain can seriously impact our quality of life. Not being able to move comfortably, or even pain-free, can stop our social activities, such as golf or walking, and can also seriously affect our health. If you can’t move and walk, you may start putting on weight, and we know that this lack of function and increase in body mass can not only affect your mood but also leads to the worsening of other illnesses such as diabetes, respiratory and heart conditions. Keeping you moving pain-free is fundamental to your overall health, and not just in reducing pains in the heel and knee, but also with ankle injuries, shin splints, and hip pains. In fact, evidence shows that up to 80% of us would benefit from a biomechanics assessment and, where necessary, orthotic provision. Many of your pains may be caused by the way your hip connects to your knee, how your knee adapts to the way your ankle moves, or how your big toe moves during the last phase of your step. Each day we take an average of 6 – 10,000 steps, and if your foot does not communicate well with your knee, or you knee with your hip, you may start to suffer problems. These problems and pains can manifest anywhere in your body as your legs, hips and back try to compensate. The weakest link will show symptoms first, creating at the big toe for example, a bunion. If you ignore this, the next link in the chain will be affected, and perhaps your knee will start to hurt going up and down stairs. This process continues until you are suffering arthritis and more constant pain. Every muscle action and joint movement your body creates hits the ground as you walk, where it is then translated onto the ground as you roll your foot over the ground, and your body over your foot. Because the ground is solid enough to hold you up, it pushes back just as hard as you push it. In this way, your misaligned knee may roll your foot badly or hurt your toe, and a poorly functioning foot may roll your knee badly, and make your hip hurt. Gait Analysis is a clinical tool used to assess the way your body moves when walking or running. Gait Analysis is a clinical tool used to assess the way your body moves when walking or running (or in technical terms “in bipedal gait”). When moving from point A to point B your body has two main priorities: keeping your head upright, and saving you as much energy as possible. To achieve this, your body uses all of your muscles, joints, bones and ligaments in the best, most energy efficient way possible. Although often presented as a magic wand, the results of a gait analysis are actually of very little use when viewed in isolation! Computer images of foot patterns tell us nothing of the movements of the knees, hips and shoulders, for example. Without an understanding of your underlying biomechanics (e.g. how each of your body parts move), it is little more than an observation of symptoms e.g. flat feet or knock-knees. Your feet display the net result of all the movements that are happening from above. Gait analysis must be performed from each direction, as only looking from behind or in front further limits the overall picture of your individual gait. Your feet are a particularly important part of your gait assessment, as they interact directly with the ground, and display the net result of all the movements that are happening from above. Thorough gait analysis understands how these movements interact with your ankles, knees, hips, pelvis and back. Our founder, Ian Sadler, helped develop the clinical interpretation of gait analysis. 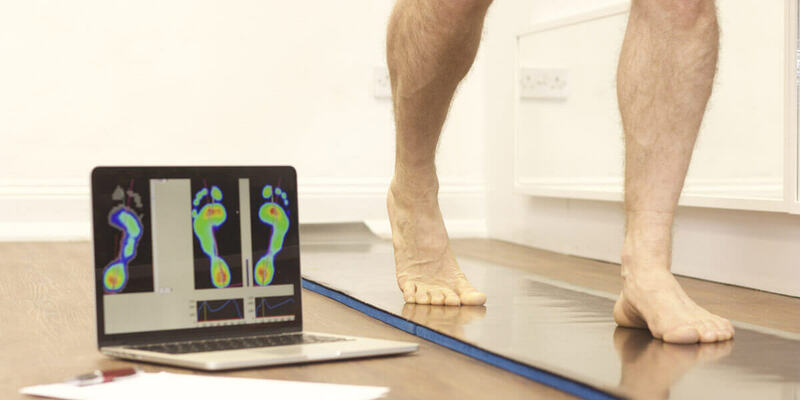 Our founder, Ian Sadler, helped develop the clinical interpretation of gait analysis which involved a comprehensive evaluation of the technology in order to design gait analysis facilities providing the optimum working environment for universities, sports clubs and clinicians. Working with video gait analysis, treadmill analysis, and infrared gait analysis, the best tools for the individual requirements of each facility were determined. Ian used his extensive experience gained from these projects to create our gait clinic and the clinical protocols that make it so unique. 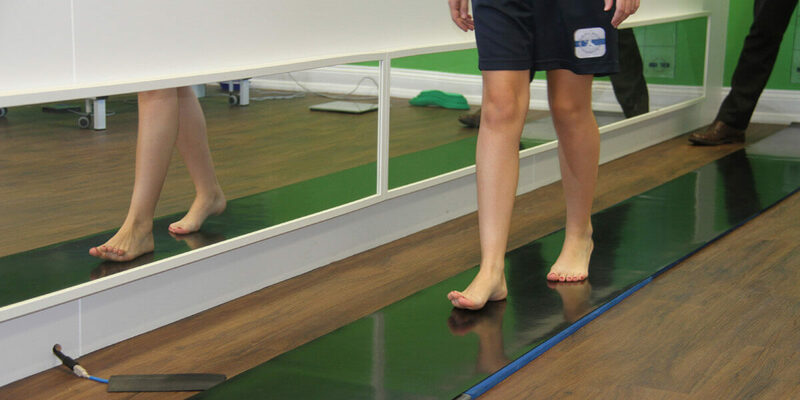 BxClinic gains a thorough understanding of your biomechanics before performing gait analysis. We have designed a purpose built facility for effective foot mapping pressure analysis, taking over 500 pictures per second, and analysing the speed, time, direction and magnitude of your movements to ascertain the precise point in the step that each event is occurring. Thus, we can tell if it is your knock-knees making your feet flat, or your flat feet that are making your knees knock.